This post contains affiliate links. If you purchase something through one of these links, I will receive a small commission at no extra cost to you. Thank you for your support! kids back into a school routine, and we will all be able to slow down. slow, and we have been go-go-going every weekend since Thanksgiving. instead it is moving faster than I anticipate, and all of the change that I want to take place during this month is not completed on my time line. have had time to put any of the intentions I have into practice. 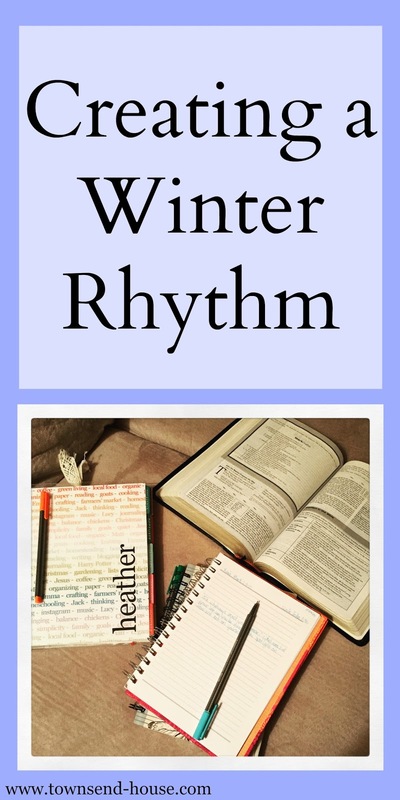 That is where creating a winter rhythm comes in. of time for quiet time, for rest, for reading, for play, for chores. perfect rhythm into practice, of course! Obviously, that is not realistic. So let us move on to plan B.
me from constantly answering at what time they can do x, y, and z.
what is going on in our home. that causes some changes to our rhythm. we need a new rhythm. But how can we get there? school, it is overwhelming, to me and to them. school, and wants to play all day. while still allowing her the freedom to be seven is quite the challenge. and quite the span of educational philosophies to meld together. because it is only a seasonal rhythm! since we have a lot of snow, and a lot of family de-cluttering. definitely needs a complete reorganization. kids like to check off. are your strategies for making it through a busy season? *If you sign up for an account through this link, you will receive a $10 off your first purchase code e-mailed to you. I think my change in rhythm for winter is that I feel more sluggish and want to 'hibernate' more. We recently got our first downpour of snow, and I seriously feel like I've been walking in a fog. I also would like to purge all of my closets out. Yes! I am all about routine! Without it I would be lost! Thing go smoothly when there is a plan! Having a routine is very important for me. This is how I get things done effectively. My kitchen is need of some de-cluttering, as well, because of all of the holiday festivities. My daughter is only one, and her nap times are my only free moments; oh being a mother! My busy season is the spring. That's when sports are in full gear and there's always something to do. I just try to keep track of it all in the calendar and enjoy the moments of peace when I get them. 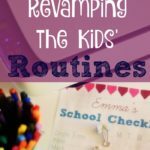 My routine is based around my kids school schedules and activities. Thankfully I've figured out how to get everything I need done while they're in school. Yes, we have a rhythm here as I have teenagers. We have a big wall calendar to help us with all of the scheduling. Fall and Spring we have it down!!! I'm still figuring out my new rhythm now that I'm a mom. And I've only got one, so hats off to you with your three! Very good thinking. Best wishes, hope you will get the full rhythm. Life is very seasonal and with each season comes a little change. I am extra careful about noticing when the winter blues are coming. I always find it harder to get motivated during the winter season. However, I have been trying to get better at that lately. Yes! I think this is so important. It is so easy to get into a funk during the cold months. I think it is so important to have a daily rhythm, so that everything doesn't go to slow or too fast! Good luck!! I hope y'all settle into rhythm soon! My sentiments exactly. I am losing motivation and finding myself wanting to procrastinate more but then other times I am on fire. I can't win. I think being able to change based on your children's needs and wants is key. That definitely appeals to me. I feel like otherwise you're just battling and that's not ideal for anyone. Sounds like a lovely Winter plan! The key here is to be open to change but loosely stick to a routine. It does change seasonally, based on the kid's activities and sports too! It's amazing how easy it is to get out of a routine, no matter how cemented into your daily life it is – one thing out the window and everything else is soon to follow. 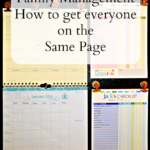 It's not a bad thing, it's just how life goes, and with being busy, it can get even worse! 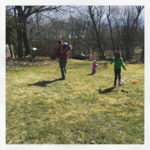 Your kids are lucky, though, that are you able to consider how they learn and what they need to be able to learn, the environment for it, and still have time to play and be kids while getting a great education. And having that flow is helpful for both them and you! I hope your charts serve you well!